Petra is an experienced charity sector leader. 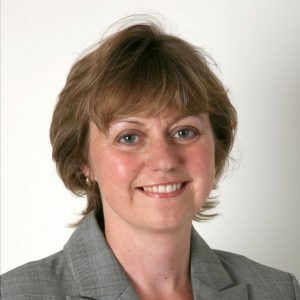 She qualified as an accountant at a young age and went on to develop her career in the commercial sector as an international manager in the European division of Gillette, involved with mergers and business restructuring. In 2003 she joined the Charity sector as Resources Director for Sightsavers, where she learned about international development and the challenges faced by people living in poverty. Her role involved establishing new country programmes and building capacity of finance teams across Africa and Asia to improve management of funds available to ensure maximum impact. In 2009 she was able to combine her personal passion for horses with her professional experience and became CEO at Brooke, an international charity responsible for improving the welfare of working horses, donkeys and mules around the world, and helping people living in poverty, whose livelihoods are dependent on the money earned through the hard work of these vital animals. Following more than ten years of growth, in 2016 Brooke continues with expansion plans by launching an ambitious new Global Strategy which aims to help more working animals in need by almost doubling income over the next five years. The charity has recently been through considerable change to ensure it is fit for purpose to most effectively deliver the new strategy and manage the risks of continued growth – trustees, UK and Overseas teams are working together to create a more agile and responsive culture to maximise impact of the charity’s limited resources.